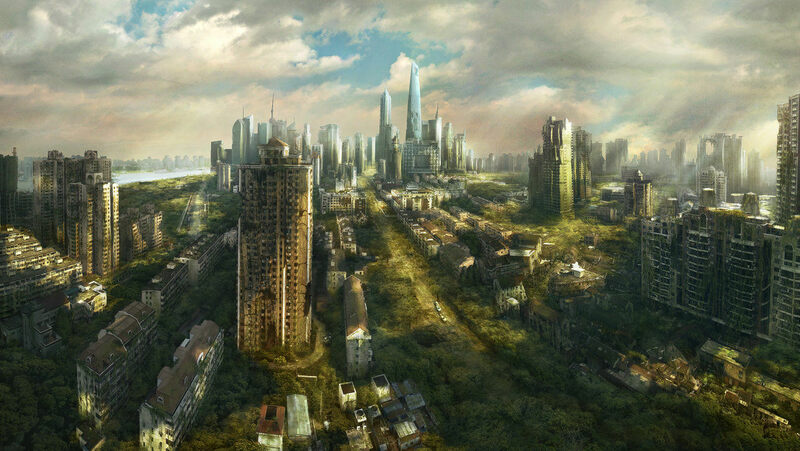 220 years ago a great ecological and nuclear disaster known as The Rebirth ravaged the world turning it from a modern technologically advanced society to a post apocalyptic one. Those that survived the event were plagued by terrible diseases and other effects that caused their bodies to gain strange racial mutations. It was thought that the world and all that lived in it would soon die, however it was discovered that the disaster had opened rifts that let out fountains of strong magical energy that caused life to flourish greatly within a certain radius of the rifts. The rifts were named Life Fountains because exposure to the energy caused the diseases to go away and heal other sicknesses including ones that poisoned the land. What remained of society gathered at some of these fountains and created small city states around them. With research and time the effects of the rifts started to spread and restored the land turning it from a wasteland into a place that could support all forms of life. Fast forward 200 years and the world is stable, magic is abundant, each city state has their own ruling government or society and severe war like conflict is rare. There is still conflict from the occasional racial and/or property battle to battles of ideals but for the most part after a few fights the more even headed members get together to nail out an agreement and peace generally has come to the once ravaged world of Reborn Earth (often shortened to Reb-Earth). There are many 'ancient ruins' that hold treasure both of history and wealth of an era gone by but most today have no idea of past things.